A thumb rule of life is to never low grade any creature, be it a playful monkey in a zoo or a harmless little insect. Animals are unpredictable mortals. A poisonous insect as big as a rice grain can sting you and give you a death worse than that given by a feral animal. Distinguishing between a poisonous and a harmless insect could easily risk a life. So it is always advisable to familiarize one’s self with these life taking creatures early in life. The severity of their venom may vary from insect to insect. Some might cause immediate death after the sting while some stings may give you recovery time before you breathe your last breath. Below are some of the very poisonous insects you must know of. Harvester Ants can be aggressive and have a painful sting that spreads through the lymph nodes, sometimes causing reactions, especially in animals allergic to their venom. They can also bite very ferociously. What it does is rotate around the spot and constantly stings the victim. Besides with that sting it injects it’s venom into the victim’s body. Harvester ants are so poisonous that they can kill per kilogram of body with every six stings. Second on the list are Fire Ants. Unlike many other ants, which bite and then spray acid on the wound, fire ants bite only to get a grip and then sting and inject a toxic into the victim’s body. For humans this is a painful sting, a sensation similar to when one feels burned by fire. The after effects of the sting can be deadly to sensitive individuals. 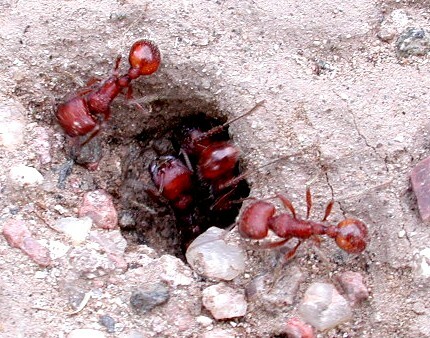 The single difference between Harvester Ants and Fire Ants is that one time it bites it gives out a signal for other fire ants to sting the victim as well. Cantharidin is a poisonous chemical which causes blistering of the skin. 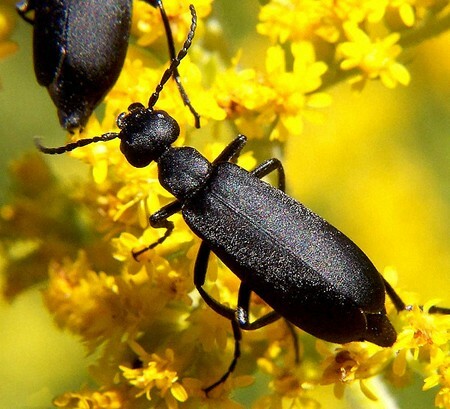 Blister beetle’s sting can release this chemical in the victim’s body and cause blistering of the skin and also inside the victim’s intestine when ingested. Blister beetles are commonly found among or within greenery. Animals that accidently eat them can suffer from serious illness. A few beetles consumed in a single feeding can be lethal. Also known as the Asian Hornet is again a very poisonous insect with rich amount of Acetylcholine in its sting. This can cause immense pain to the victim and can also dissolve into the human tissue which as a result may cause death. Giant Japanese stings its victim repeatedly injecting more amount of venom into the body with each sting. But then again, indistinguishable knowledge about these insects cannot save you from their harm. You need to familiarize yourself with their appearance as well. You may find their pictures with additional information about them on the web. Lastly, one should always ensure self-protection both, when you go out or stay at home. If you plan a picnic to some place you might want to wear proper clothing to prevent any mishaps. Or you may use insect repellants to keep any insect from biting you. Plus you should always try to avoid any contact with any insect. You never know how poisonous it is until it has already bit you. Remember, health is wealth. Take care.